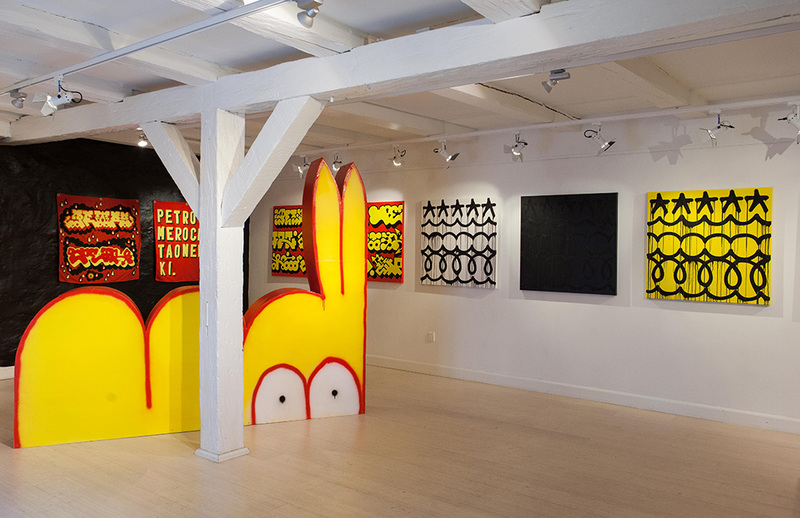 As a graffiti writer, Petro is a name that leads to over 3 decades worth of introduction. 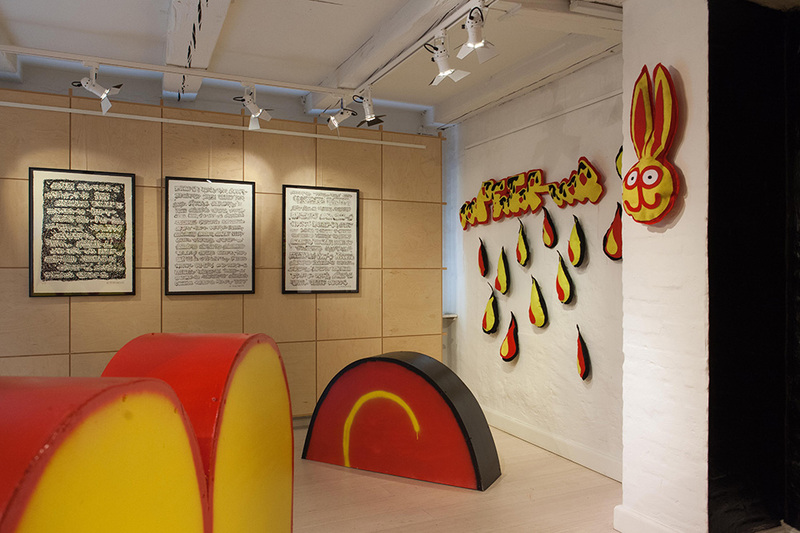 Exploding with an original style and personality, the UK raised writer has lacquered a countless amount of work across his home base (and the world), with this distinctive addiction toward graffiti, streaming with influential energy at its tip. 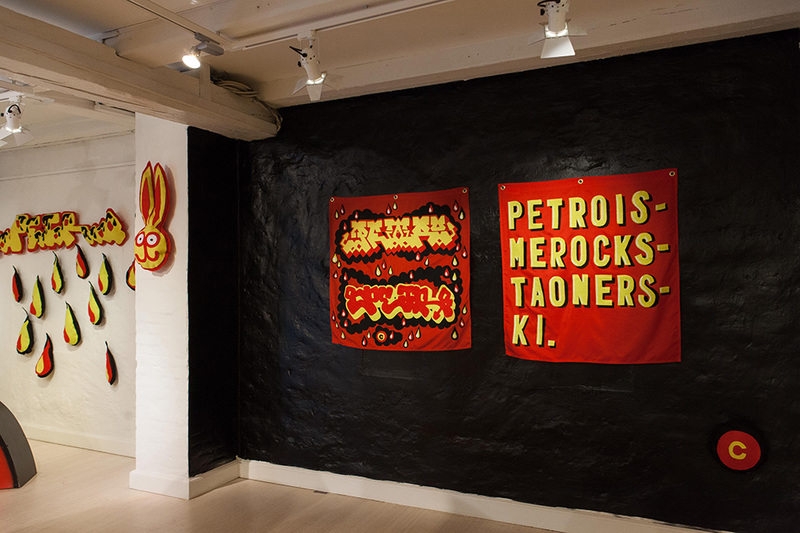 As an exhibiting artist, Petro’s graphic style and enthusiastic colour has also carved its own legacy throughout the painter’s long career. 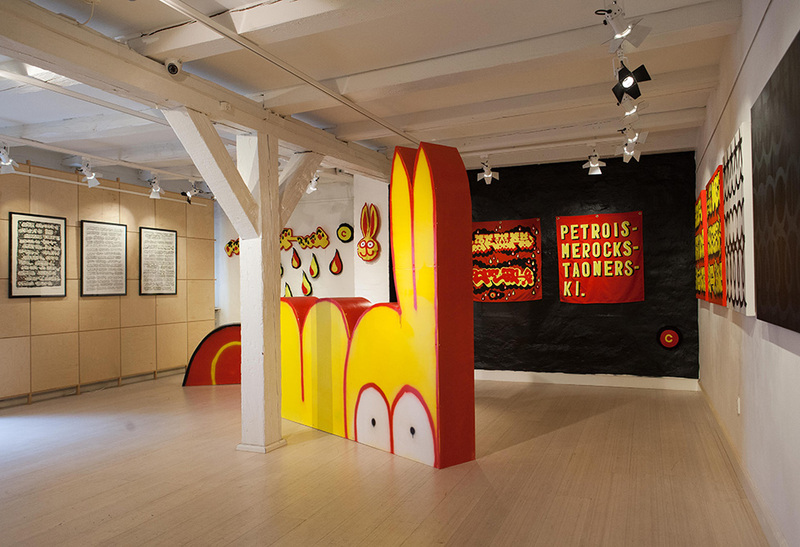 Brazenly bonkers, while withholding the same visual coarse found throughout both creative sectors, Petro’s innovation spreads throughout a number of forms. 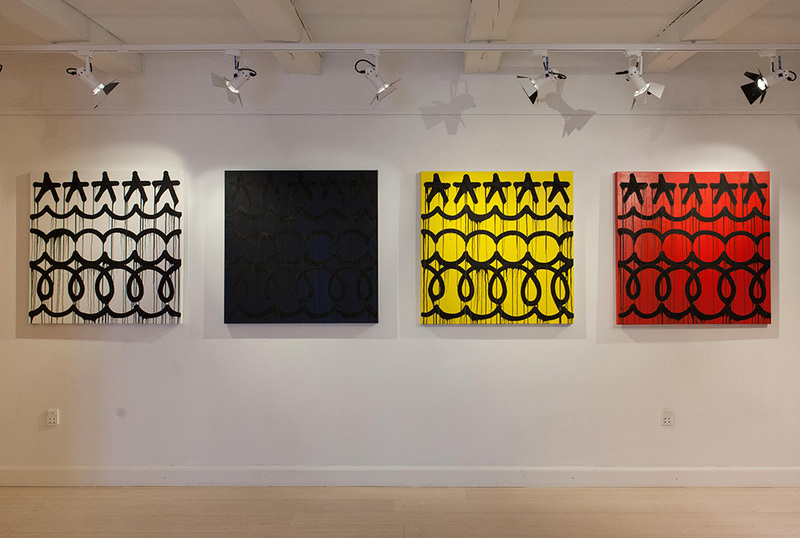 For his latest exhibition: Ismerocksi – we find familiar formats in the shape of traditional paintings, along with his large signature sculptures. But amongst the primitive colours, we also find a recent exploration of textiles, transferring his work from flat canvas’ to the soft and plush stitchings of textiles. A format that has been shared in the gallery space for many years, but one that barely reaches this artists atmosphere. 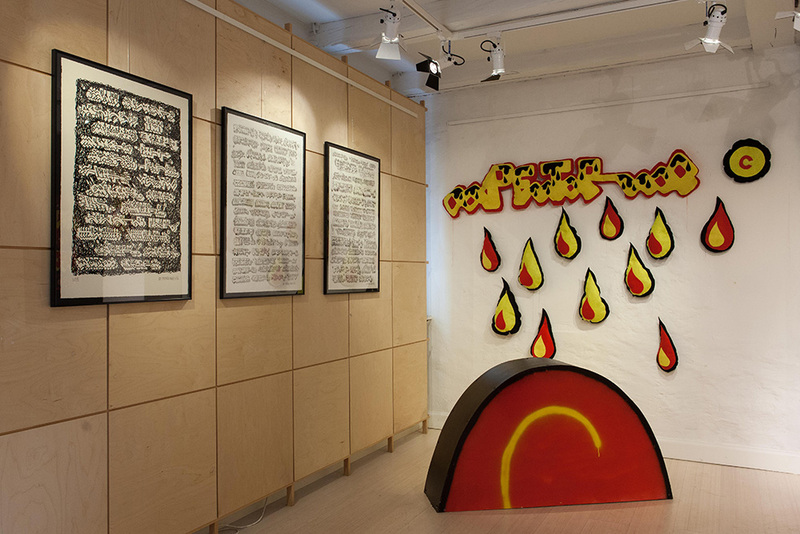 While the influence of graffiti has always swayed away from the gallery space, Petro’s work seems to mold the outside world into the indoor spaces he commands, effectively connecting these two worlds with each other at each presentation. While others enjoy the thrill of painting on a wall, Petro defines himself through the versatility and style put forward with each new chance at iteration. The handmade sculptures that dip in and out of the floor, the precision of execution on canvas, and now, the unique shapes that fabric form, Ismerocksi presents the continuation of one man’s quest in search of ideas and perspectives.